Connex cohorts are designed to embrace the redesigned curriculum for students in grade 9 and 10 who are interested in approaching their learning from a different path and using inquiry. Students need to be curious, embrace physical challenges, capable of working with others and interested in making community contributions within the school and beyond the classroom walls. Teachers work together as an inquiry team to focus on wellness while making thematic connections with their community. 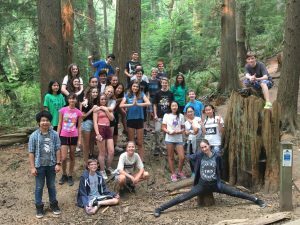 Working in a Social Studies, English, Physical & Health Education, and Science (Gr 9) or Career Explorations (Gr 10) cohort, students will explore the environment of the City of Burnaby and neighboring communities. Cross-Curricular connections and explorations will emphasize experiential activities. Frequent opportunities to explore ideas and curriculum in our local surroundings will be facilitated by scheduling the cohort classes so as to allow for flexibility with off-campus days.